Internal consistency—or “coherence”—of a price system is the basis of several key concepts in many fields, such as subjective probability (in Probability Theory), no-arbitrage pricing, and risk measures (in Mathematical Finance). 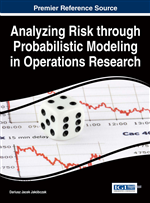 Furthermore, Actuarial Mathematics uses coherence to describe the analytical form of risk premia, and an analogous approach has recently been proposed for firms' valuation. Technically, it amounts to a characterisation of functionals with particular properties (a typical goal in Functional Analysis), which translates into a numerical representation of preferences along the traditional guidelines of Decision Theory, whose analogies with Mathematical Finance are numerous and really impressive. This is explored in this chapter. In Probability Theory, the definition of a subjective probability was first given by de Finetti (1931b, 1937, 1949), by making use of the concept of absence of sure loss in a system of bets on a given set of events, or random variables. Such an approach is equivalent to impose absence of arbitrage for a price system of random amounts. Several disciplines are concerned with the problem of assigning a numerical value, or a “valuation”, to random variables.